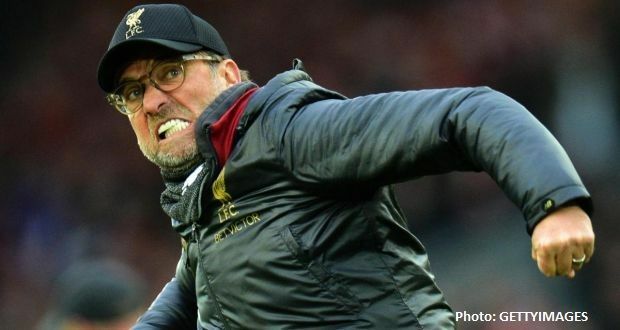 Jürgen Klopp said Liverpool is competing with the best team in the world for the Premier League title but that is no guarantee Manchester City will complete an unprecedented quadruple at his club’s expense. Liverpool can regain a two-point lead at the top with victory at Southampton on Friday night as they pursue a first championship since 1990. City’s focus switches to a FA Cup semi-final against Brighton on Saturday, with Pep Guardiola’s side seeking a clean sweep of domestic honors, plus a first Champions League title. Klopp believes talk of a City quadruple is merited on the form. While that may be an attempt to increase pressure on his rivals the Liverpool manager insists his players will not shy from fighting City all the way for the Premier League and – possibly – Champions League trophies. “City look like the best team in the world, that’s how it is,” said Klopp. “Barcelona struggled a little bit [against Villarreal on Tuesday] but still did the job. Juve looks pretty impressive in Italy but you don’t exactly know how it will be in the Champions League if Cristiano Ronaldo cannot do it. With City, those are the three big Champions League favorites and you think, okay, City look a bit more stable than all of them.